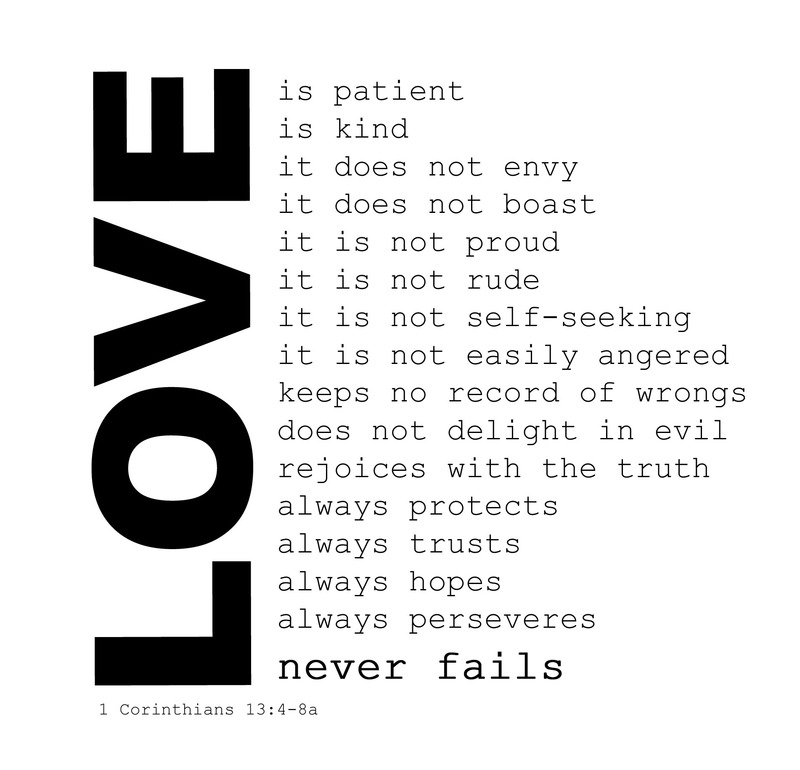 Sunday night feeling1 Corinthians 13, sunday night feeling, What is love? My inspiration for tonight is taken from these verses. Not so long ago my dad asked me to read an obituary in the local newspaper. I have to admit that his request wasn’t met with enthusiasm! However, I read what he showed me and was completely awestruck by what I discovered. Accompanying the obituary was a picture of an old lady, a sweet old lady to be sure but not anyone extraordinary. Just one of us. As I read, I discovered that the obituary wasn’t written by a close family member. Instead, it was written by one of the lady’s friends, someone who as he commented, was young enough to be her son. He wasn’t her son though. So what was it that inspired someone who wasn’t related to this lady to take the time to sit and write such an honest, heart felt account of this woman’s life? It was the way she lived. This lady embodied the verses above. She was love. The author of the obituary honestly recounted that at times the love that this lady showed to him was unwanted. He was a fierce athiest and she a Christian. They had many debates and he often disagreed with her, yet she loved him. She didn’t argue with him, or try and beat him into submitting to her point of view, she powerfully and graciously loved him instead. The reason this has become my inspiration for today is that I felt enormously challenged by the obituary. The man who had written it had often disagreed with this woman, yet she had such a profound affect on him that he couldn’t help but sit and write one of the most beautiful, honest, praiseworthy accounts of someone’s life that I have ever read. Wow. Do I behave in love towards other people in this way, or just those who I personally care about – my family and friends? In my role as a teacher, I care about the children in my classes but have never really sat and reflected on how loving another person so humbly can enrich and affect their life for the better. Yet you don’t have to be a teacher of children to be in the position to love people outside of your family and friendship circle. You can be patient, kind, hopeful etc with your colleagues at work, people who stand in front of you in the shopping queue at Tesco… anywhere! This woman did and she sounds like just the sort of woman I want to be.